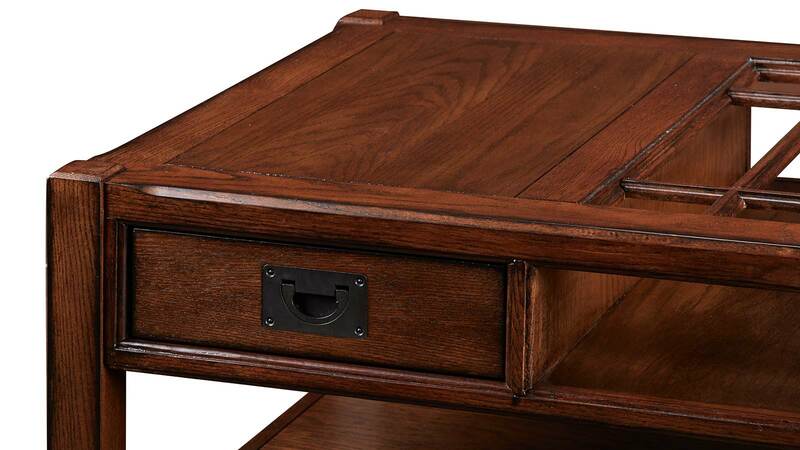 A part of the Easton Home Collection, the Easton Cocktail Table's Mission-influenced design will provide convenience, class, and culture to your home. 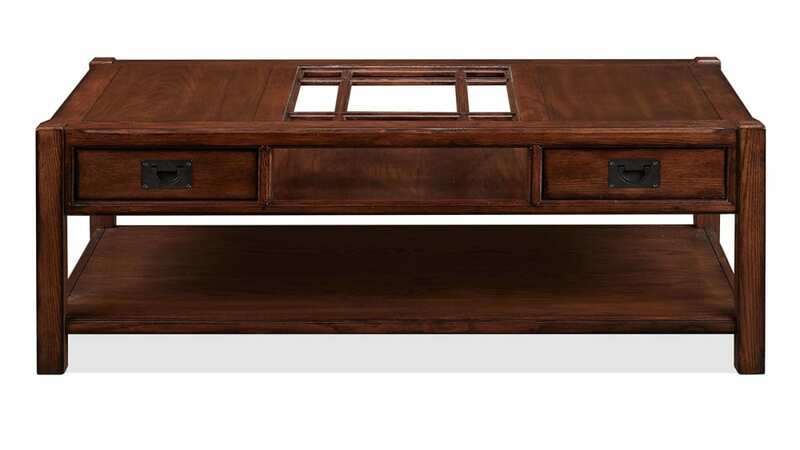 With Gallery Furniture's same-day delivery, you can upgrade your living space TODAY! 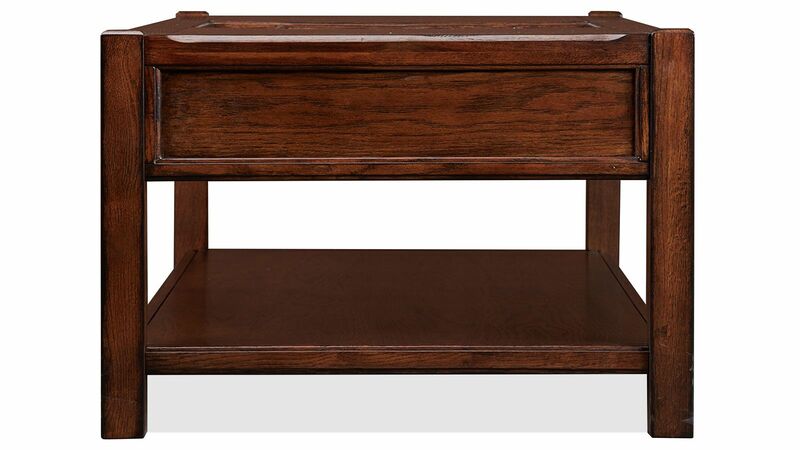 A Mission-influenced design offers Old World elegance and sophistication. 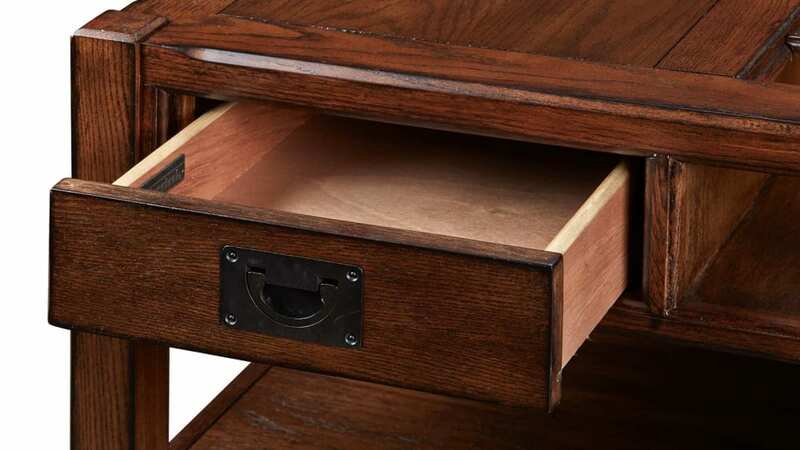 Two drawers, fronted with recessed Spanish mission pulls, allow easy access to convenient storage space. 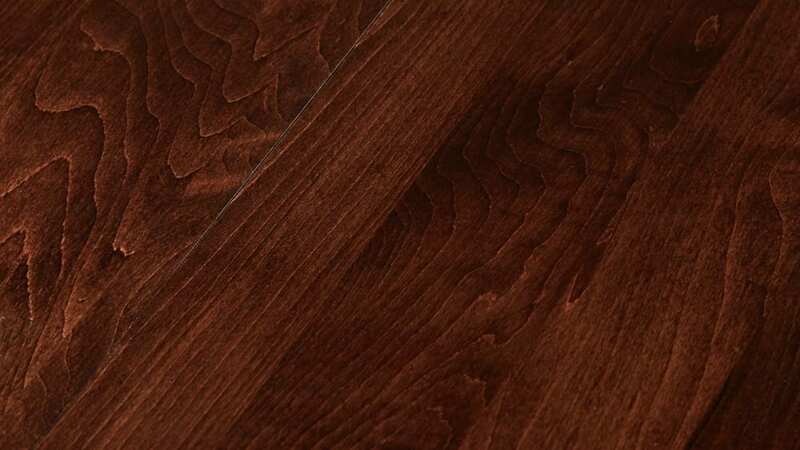 The wood is stained a deep brown, supplying even more class to your living space.